SAPPHIRE has this week announced the launch of its new RX Vega NITRO+ series offering a sixth custom design of the RX Vega. Offering users a guarantee that both RX Vega 64 and RX Vega 56 NITRO+ will feature 12 to14 percent higher base clocks out of the box when compared to the reference models. Meaning that the graphic cards clock speeds will never drop below those values. Also when it comes to boosted clock speeds both NITRO+ cards are the fastest custom designs on the market thanks in part to the graphic cards full-custom board design with three 8-pin power connectors, dual-BIOS and a feature borrowed from ASUS, a fan header. Allowing users to synchronise external fans and cooling systems with the card if desired. 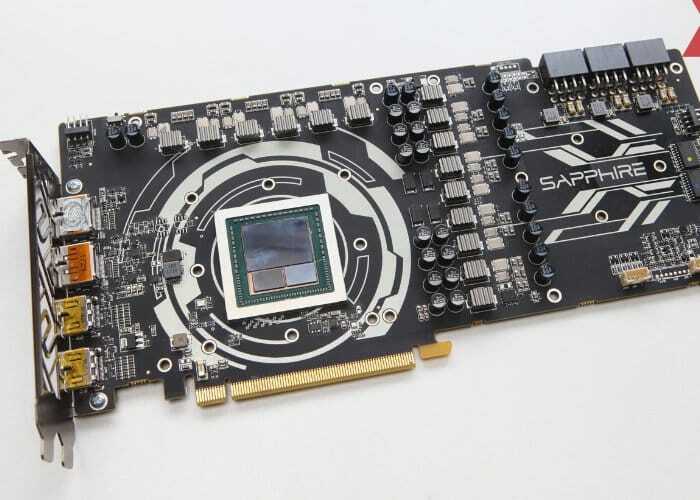 The increased thermal headroom provided by the substantial cooling solution, and the beefed-up power delivery system, mean Sapphire are shipping these graphics cards with a hefty 12-14% base-clock increase over AMD’s reference cards. The RX Vega 64 NITRO+ will be available for around 659 USD, which makes it raster an expensive alternative to GeForce-based products. The new graphics cards also ship with dual-BIOS, a fan header for either a side-panel or front-panel fan a VGA support plate, a welcome addition considering the RX Vega 64 Nitro+ comes in at almost 1.6 kg. The SAPPHIRE NITRO+ Radeon RX VEGA 64 8G Limited Edition graphics card is the new highly anticipated high-end graphics card from the SAPPHIRE NITRO Gaming Series family. The NITRO+ Radeon RX VEGA 64 Limited Edition card brings out the best of AMD’s VEGA architecture with factory-overclocked performance and an advanced custom cooling solution enshrouded in a captivating design. Enter the world of extreme gaming with high resolution, high refresh-rate displays and virtual reality headsets that you’ve always dreamed of. The SAPPHIRE NITRO+ Radeon RX VEGA 64 card comes factory-overclocked. The NITRO+ RX VEGA 64 model features a GPU with 4096 Stream Processors running with 1611 MHz Boost Clock. It comes equipped with two stacks of 2nd generation High Bandwidth Memory, featuring 8 GB in total. The memory is clocked at 945 MHz – 1890 MHz Effective. With these clocks, the NITRO+ RX VEGA 64 achieves up to 7% better framerate compared to reference cards. 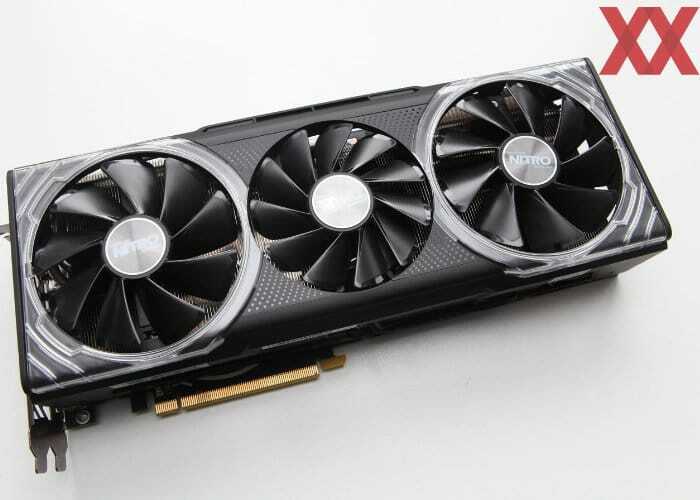 Vapour Chamber-based Cooling – To get the operational temperatures of the GPUs down to the targeted 70°C, SAPPHIRE has brought back its innovative vapour chamber technology made famous through SAPPHIRE’s Vapor-X series of graphics cards. Using this instead of the copper base on the GPU and HBM2 memory has lowered temperatures by up to 5°C. The vapour chamber is combined with a set of six nickel-plated heat pipes (three 8 mm and three 6 mm) and a substantial, densely-packed heatsink. RGB LED Shroud Backlight – The NITRO Glow system has been significantly expanded and improved in SAPPHIRE NITRO+ RX Vega 64 and 56 Limited Edition models. The iconic black NITRO shroud has been augmented with two backlit acrylic elements around the left and right fan. Along with the SAPPHIRE logo at the top, these backlights are full-RGB LEDs and can be customized using an upcoming version of SAPPHIRE’s TriXX software tool.